The popular city of Florianopolis is a hotspot for both locals and tourists, home to the picturesque Santa Catarina Island. This port city isn’t only a tourist favorite, it’s also favored by surfing and diving hobbyists offering over 40 beaches that are perfect for watersports. Founded in the 1700s, Flori is now buzzing with trendy and upscale restaurants and nightlife to indulge in after the sun sets on this coastal city. The famed Iguazu Falls or Foz do Iguacu sits on the border of Argentina and Paraguay, with over 250 waterfalls thundering into the narrow Devil’s Throat below. This is one of Brazil’s greatest attractions, and is one of the largest waterfalls in the world. Head along one of a number of hiking trails to see this wonder in action, or catch a view of the luscious forest surrounding it. Rivalling North America’s Niagara Falls, Brazil’s Foz do Iguacu shouldn’t be missed. If you can’t make it to Copacabana, Balneário Camboriú may be the next best thing. This city features another hilltop statue of Jesus Christ, similar to Rio’s Cristo Redentor. This bustling beach resort offers more than just a picture-perfect arched coastline, there are many happening bars, restaurants, and shops that line its shore. Home to some of the country’s best accommodations, Balneario hosts an aquarium and gardens to wander through after your days of lazing in the sun. The green city of Curitiba is Parana’s largest city and capital. 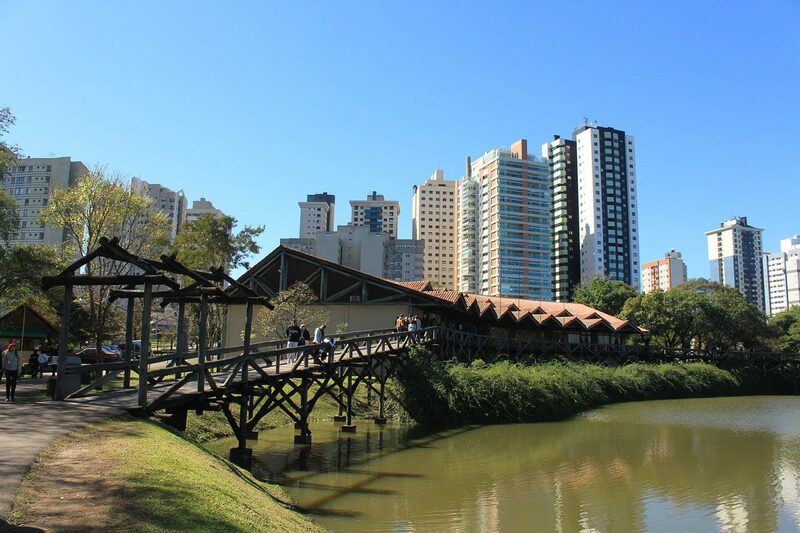 You’ll feel like you’re walking through a large park thanks to Curitiba’s many green spaces, gardens, and greenhouses. While there’s definitely an emphasis on the environment and green living, this city also offers insight into Brazil’s history which can be seen through restored architecture throughout the city. There’s plenty to explore with sites like Largo da Ordem and the Botanical Museum so take advantage of Curitiba’s large public transit map, or take it easy and stroll through the lushness. After visiting Curitiba, a stop in the historical and colonial town of Morretes makes for a fitting next destination. Stroll the cobblestoned paths and gaze at colonial structures dating back to the 1700s, or set your tastebuds on the town’s array of restaurants serving up mouth-watering local cuisine. Sitting on the Rio Nhundiaquara banks, you’ll want to have your camera handy for this scenic region. Nature lovers will be sure to enjoy a visit to Aparados da Serra National Park sitting between Rio Grande do Sul and Santa Catarina. This park is the country’s first national park featuring the stunning Itaimbezinho Canyon. Hike to the edge of the canyon to get envy-worthy photographs of the rugged landscape and its waterfall, or spend an entire day exploring the grounds during the dry season. While Rio Grande do Sul’s largest city of Porto Alegre might look a little sketchy at first glance, this state capital has so much to offer beyond its seedy core. Delve into Brazil’s history at the famed Joaquim Jose Felizardo Museum with a large collection of ancient relics that tell stories of the country’s past. Porto Alegre’s industrial industry is booming, and the city is full of culture to explore with stops like the Rio Grande do Sul Museum of Art, featuring an array of local displays and exhibits. You won’t need to travel to Europe to get a taste of Germany. Blumenau sits in Santa Catarina and is home to the biggest Oktoberfest in the country. With over 700,000 visitors to this festival each year, it rivals Rio’s Carnival and the large Kitchener-Waterloo Oktoberfest in Canada. Bratwurst and beer aren’t the only things you’ll find in Blumenau reminiscent of the European country, the German influence began in the 1800s and can still be seen through Bavarian buildings and the charming district of Vila Germanica. For a more intimate, remote experience, the modernly untouched stretch of sand in Ilha do Mel will be your haven. This beach sits in the state of Parana in an ecologically protected zone where only a limited number of visitors are allowed at a time. No need to watch for vehicles but there are a number of trails to explore showing off beautiful Brazilian nature. And if you’re into watersports, this uncrowded beach is great for both sand and surf. Archeology lovers need to head to the historical town of Sao Miguel das Missoes in Rio Grande do Sul. If the name sounds familiar, this town is home to the remains of one of the Jesuit missions between the 17th and 18th centuries where natives were to be converted to Christianity. The town’s Mission Museum tells more about this historical building and its significance, while there are other archeological rewards on display. The Sao Miguel das Missoes is not only largely breathtaking, but the surrounding areas only add to its beauty. 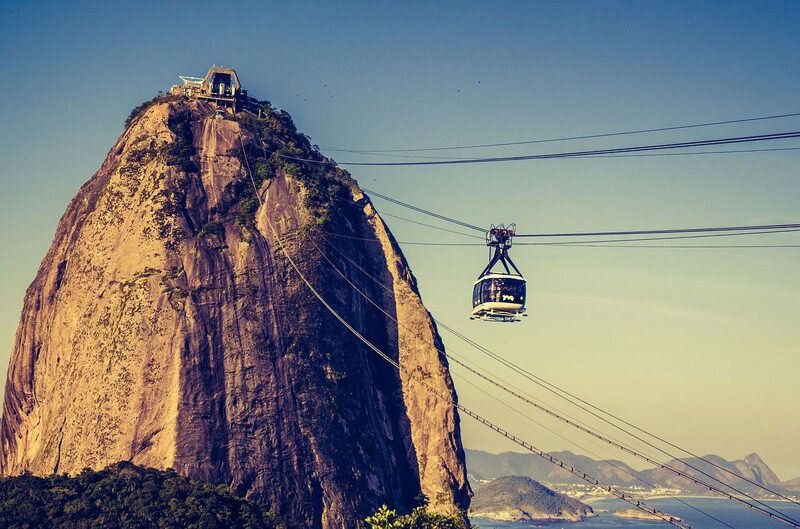 Travel to Brazil is much easier than before.